Mesothelioma Awareness Day has been a large-scale public event throughout the United States since the first campaign was launched in 2005. This year, Mesothelioma Awareness Day was held on September 26th and was declared a success by the Mesothelioma Applied Research Foundation (Meso Foundation). 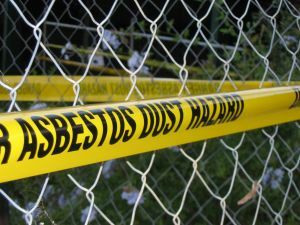 Our Boston mesothelioma lawyers know that this asbestos-related cancers continue to be a top cause of cancer deaths and affect many thousands of patients. Efforts like Mesothelioma Awareness Day help to draw attention to this serious public health issue and to raise necessary funds for research and clinical trials that could help patients to find more effective treatments for mesothelioma. A group of Meso Foundation volunteers first conceived of the idea of Mesothelioma Awareness Day in 2004 but the public campaign has grown considerably in size since this time. This year, there were more than 20 fundraising and awareness events held, which was an increase from 2012 when there were 15 events organized throughout the United States. The 15 events that had occurred in 2012 generated $120,000 in donations and 11 news outlets covered the campaign. The 2013 figures have not yet been tabulated but it is likely that even more money was raised and more attention brought to the campaign this year with the increase in the number of events held throughout the U.S. The campaign this year involved not just hosting these events but also encouraging supporters to contact local radio stations and request a song by the rock musician Warren Zevon, who died of mesothelioma in 2003. Unfortunately, while some treatment progress has been made over the years since Mesothelioma Awareness Day started, mesothelioma continues to be one of the most aggressive types of cancer. Mesothelioma occurs when a malignant tumor forms in the abdomen, lungs or heart and symptoms typically do not develop until after the cancer has become advanced. For the more than 3,000 Americans who are diagnosed with mesothelioma each year, the late diagnosis and aggressiveness of the cancer mean that it is often deadly. Unfortunately, the majority of those who get this diagnosis develop the mesothelioma because of exposure to asbestos, often while working in the building trade or in shipyards. Mesothelioma Awareness Day hopes to bring relief to those who are suffering by helping to advance the fight for a cure. Efforts to increase awareness and obtain more research funding also extend to lobbying local and federal government officials. Already, 12 permanent state proclamations have recognized Mesothelioma Awareness Day and many local governments and cities have also passed official proclamations. The United States Senate even passed a bull introduced by Senator Patty Murray to designate September 26th as National Mesothelioma Awareness Day, while the House of Representatives passed a similar bill in November of 2010 introduced by Betty McCollum. Hopefully, the additional attention brought to the problem of mesothelioma and the fundraising and donations that result will help bring a cure closer so people who are diagnosed with this serious cancer can have an improved prognosis.